Preheat oven to 180°C/Gas 4 and rub a little rapeseed oil into a medium cake tin. 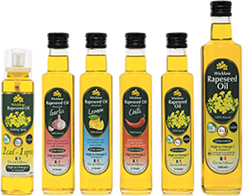 Put the Wicklow Rapeseed Oil with Lemon, sugar, lemon zest and the eggs into a bowl and mix until light and foamy. Then add the flour and almonds and stir in gently. Pour the mixture into your oiled cake tin and bake it for about 40 – 50 minutes. Leave the cake to cool slightly, then tip onto a rack. For the Lemon Drizzle mix the lemon juice with the icing sugar. 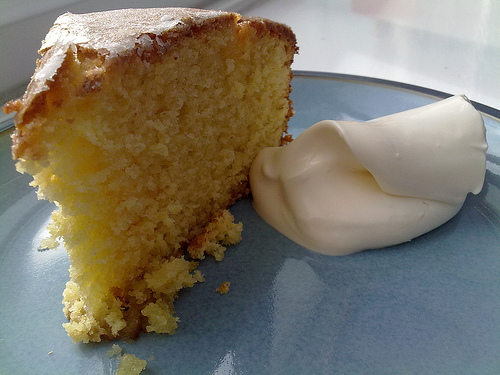 Drizzle all over the cake (if you pierce the cake first the lemon drizzle will absorb nicely). . Serve it with big dollops of double cream and enjoy!